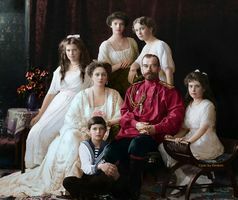 Experience the journey of Russia’s last royal family from the splendor of the imperial court to arrest, exile and a tragic death. This exhibition features numerous personal effects and documents of the imperial family, ranging from exquisite pieces by the court jeweler Faberge to modest objects hand-made by members of the imperial family during their exile. Many of the artifacts are exhibited for the first time.